What time is this in my time zone? This interactive, case-based presentation aims to cover the basics while also offering helpful tips, tricks, and insights for the experienced rehabilitator or veterinarian. Topics covered will include wildlife rehabilitation fundamentals, emergency triage as it applies to wildlife care, and guidelines used to assess patient condition and determine the most humane treatment plan. What is wildlife rehabilitation? 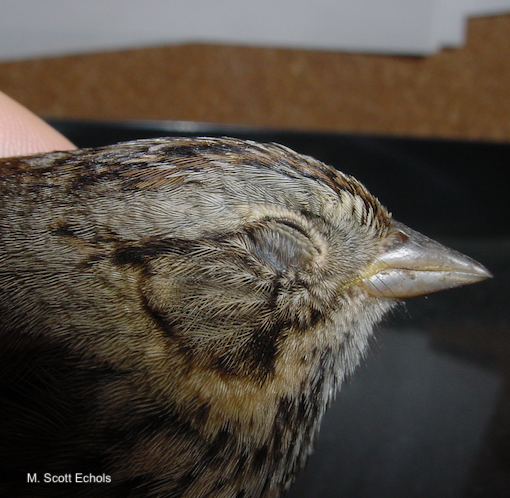 How does wildlife rehab differ from private veterinary practice? *This program 776-36251 is approved by the American Association of Veterinary State Boards (AAVSB) Registry of Continuing Education (R.A.C.E.) to offer a total of 1.00 CE credits to any one veterinarian and/or 1.00 veterinary technician CE credit. This RACE approval is for Category Two: Non-Scientific Clinical using the delivery method of Interactive-Distance/Non-Interactive Distance. This approval is valid in jurisdictions which recognize AAVSB RACE; however, participants are responsible for ascertaining each board’s CE requirements. RACE does not "accredit" or "endorse" or "certify" any program or person, nor does RACE approval validate the content of the program. LafeberVet is an ever-growing online library of exotic animal medicine videos, articles, client education material, forms, questionnaires, and much more. Provided by Lafeber Company, LafeberVet is for use by veterinarians, veterinary nurses, wildlife rehabilitators, students in these fields, as well as allied professionals. Access to much of LafeberVet's content is restricted however, registration is free. Lafeber Company was built by a father-son team of veterinarians with a shared love of animals and a special passion for birds. Dr. T.J. Lafeber developed the very first commercial bird food pellets in the back room of his veterinary clinic in the early 1970′s. Today, our exotic animal diets and critical care formulas are developed by his son, Dr. Ted Lafeber, III along with top veterinarians and nutritionists. An independent laboratory tests every diet to insure optimum pet health. Lafeber Company also consults leading experts in behavior so that our diets promote dietary enrichment.